We previously looked at the surrounding parable of the weeds. Now let’s consider the middle passage. Jesus comes at the crowd rapid fire with two short parables about the kingdom, before explaining the first parable. The mustard plant Jesus was referencing might be brassica nigra or Black Mustard, but this plant certainly does not look like it could support birds, much less a nest. Botanical.com points to the Khardal tree of the arabs as the likely suspect. It is “a tree abounding near the Sea of Galilee, which bears numerous branches and has small seeds, having the flavour and properties of Mustard.” I did some more digging to try and figure out exactly what plant this was and finally found Salvadora persica in an obscure footnote of Ceylon: an account of the island, Volume 1 By Sir James Emerson Tennent, which is now called Sri Lanka. This tree is known as the mustard tree and its seeds can be substituted for mustard seeds, but it is also called the toothbrush tree. Muslims believe that the prophet Muhammad recommended the use of twigs, or Miswak, from the tree to clean and whiten your teeth. Perhaps this is how Jesus’ teeth stayed so perfectly straight and white. The World Agroforestry Centre lists many uses for the tree including edible fruit, leaves, tender shoots, seeds and seed oil. It can also be used as a forage for animals and the wood can be used for timber… and of course twigs for toothbrushes. Now that we’ve identified the plant Jesus is talking about… So what? It doesn’t change the meaning of the parable really. The point is that big things come from small things. North American culture certainly prizes the biggest above all. So, it’s a good word for a culture in which the average size of our homes has grown from 1,600 sq ft to 2,434 sq ft from 1970-2005 (Wikipedia). 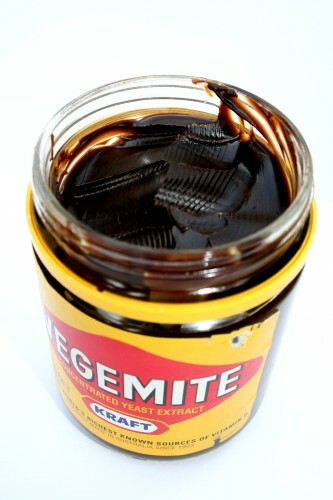 Now, yeast brings us bread, beer and even Vegemite, but we sometimes forget that it’s a living organism. Technically called eukaryotic micro-organisms, yeast is classified as a fungi. Sourdough, Amish friendship bread, yogurt, symbiotic colony of bacteria and yeast (SCOBY), kombucha and kefir are probiotic foods and beverages with microscopic living organisms in them. These civilizations of microorganisms, under the right conditions, multiply and continue to produce new foods and beverages through fermentation. In a consumer culture where we tend to buy everything we need, it is countercultural to create our own food from scratch. You never need to buy yogurt again if you make your own, because a small amount of the yogurt contains enough bacteria to make more yogurt. So, it blows my mind to see kombucha mass marketed in stores when you can make it yourself over and over again for very cheap. So, what’s the point of all this investigation into what tree Jesus was talking about and what yeast is really all about? Well, I think it’s a way of recognizing (again) that when we hear Jesus use agricultural and food analogies, we don’t know what he’s talking about because we are so disconnected from the earth and our food. Because we’re disconnected from our food and the source of that food what “has been hidden form the foundation of the world” continues to be hidden from us. It also points out the importance of context and place. The mustard tree is not the plant producing condiments for our hot dogs, but a particular tree that is part of a particular ecosystem. The meaning of the parables also reminds us of the way that real change happens. Small things are not small. In fact it’s all any of us can really do, and it’s what has always changed the world (sitting down at lunch counters, not moving to the back of the bus, making salt in the sea). The kingdom of God is like this. Like yeast it is tiny, but it infiltrates all though dough and transforms water into beer, grapes into wine, milk into yogurt. It reproduces this effect over and over again indefinitely until everything is permeated with this life. You ask does it matter that you’ve now found that the toothbrush tree is in fact the mustard tree and that to which Christ referred? Of course, it matters. Everything matters. And, you’re right that we’re so disconnected from the earth and our food that we can’t figure out what he said so simply. The mustard tree has an incredible amount of healing properties as well. Here’s one more observation–Christ always talks about sheep. We don’t necessarily get that reference either because we’re not aware that of all that animals that form “herds,” the sheep are the only ones that will follow and be led; all the others are driven from behind.